This product should be used in conjunction with a healthy balanced eating plan. As with all other supplements, consult a health care professional before use if you are taking any medication, have a medical condition or if you are pregnant or breast feeding. Risk of choking for people with swallowing difficulties or when taken with inadequate fluid. Keep in a dry place (out of direct sunlight), out of sight and reach of children. Do not use if stick is ripped or torn. SlimBlend (Chicory Root Fibre, Thickener: Konjac Glucomannan), Maltodextrin, Natural Flavouring: Mixed Berry, Colours: Beetroot Red, Purple Carrot Extract, Acids: Citric Acid, Malic Acid, Salt, Sweetener: Sucralose. Slimsticks® can help manage your weight - whether it is to lose weight or to keep the weight off. 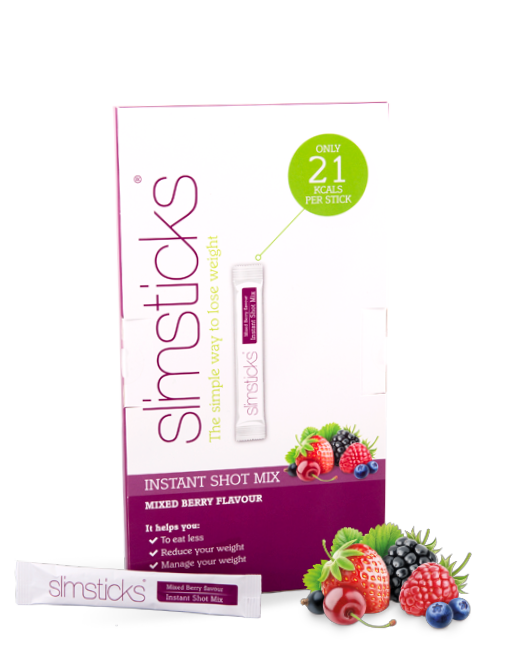 Take one Slimsticks® three times a day approximately 20 minutes before mealtimes. Whilst you can take Slimsticks by mixing with water in a glass, we have found that the best way of taking Slimsticks is to empty the contents of one sachet into an empty 500ml water bottle, add roughly 100ml of water or skimmed milk (tastes really great with skimmed, Soya or Almond milk. Like a mini milk shake). Screw the top back on and shake well until the powder is fully dissolved and drink immediately. It is very important to then fill the bottle with water and drink fairly quickly. This way Slimsticks quickly reaches your stomach, begins to expand and so starts to work straight away. If you don’t drink it straight away the Slimsticks will begin to thicken, which is what it is designed to do once it reaches your stomach. 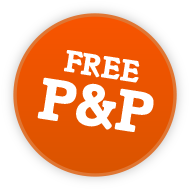 Drinking around two litres of fluid a day will help expand the Slimsticks, keeping you feeling full as well as stopping you from constantly being tempted to snack so you are more likely to eat less. This is what makes Slimsticks so unique and is unlike any product on the market.